The 'Levitating Stone' of Shivapur, Explained! Humans have come up a long way from mere hunters to today’s hi-tech mankind where everything can be done just by the click of a button. All this has happened due to the scientific knowledge gained, logical thinking implied and the will to conquer everything, including nature. Mankind, though, is still unanswered in a lot of amazing and astonishing natural and paranormal things and activities. Sometimes these are termed as “Divine” and sometimes “Miracle”. It is sometimes the faith of people which works and that generosity is also termed as “Godly”. There are numerous example and stories around us which are actually puzzles as to what exactly can be the reason or explanation of these tales. One such true story is at Shivapur, 180 kms from east of Mumbai. 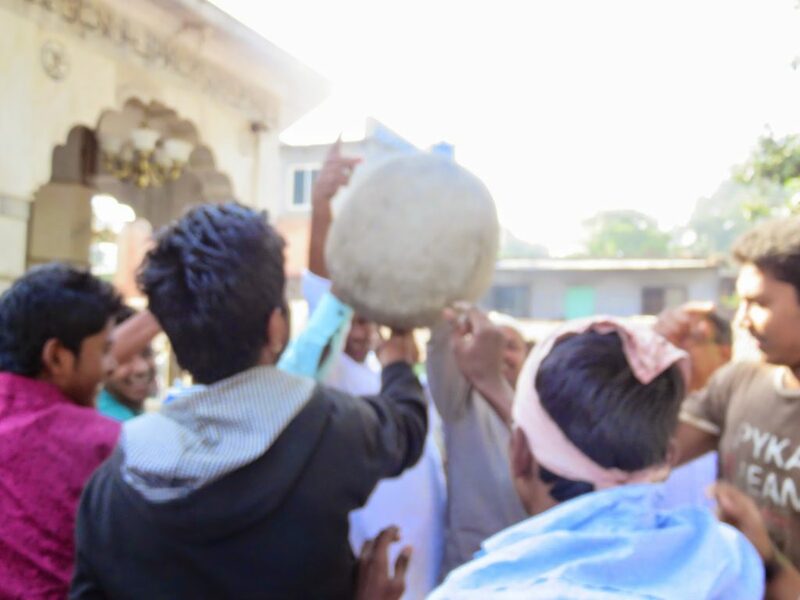 It is believed that there is a miraculous stone at the Dargah of Qamar Ali Darvesh at Shivapur village, which levitates and glides in the air by defying gravity. The famous and divine Dargah of Qamar Ali Darvesh is visited by hundreds of devotee’s every day to witness the amazing phenomenon. It is said that Qamar Ali as born in the middle-class family and was the youngest of the brothers and they were known for their muscle power. Unlike his elder brothers, Qamar Ali was gentle and self-contained and soon became the disciple of a Sufi Pir. Later he himself started getting disciples and was known for his magical powers and healings. At the time of his death, died in his late teens, he requested that a circular stone weighing around 90 kgs, be placed near his tomb. 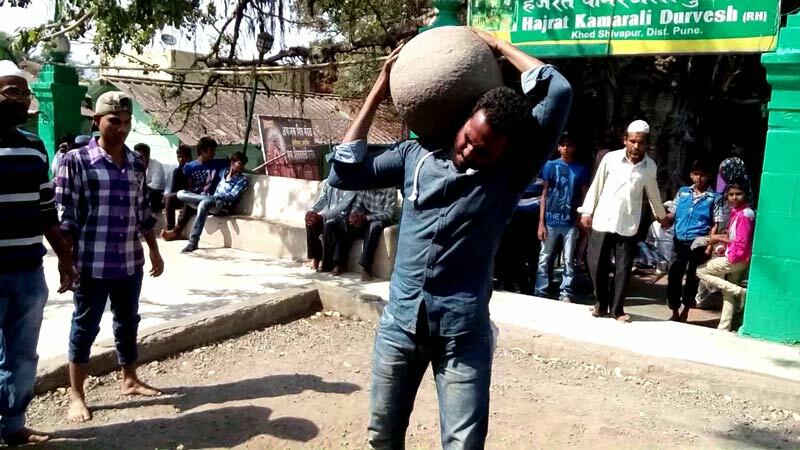 If eleven person, excluding women, put the tip of their right index finger and raise the stone they will be able to lift it around two feet above their head. If the sequence or conditions are altered the stone cannot be moved more than two feet. He said the message of Allah that we all are brothers, he loves us all and we should love each other. This message of brotherhood, fellowship, and companionship is still shown today when eleven persons from a different caste, creed, and social strata lift the circular stone with their right index finger they are able to raise it beyond their heads. They also have to raise it at the sound of “Qamar Ali Darvesh”. If at all you try any other permutation or combination the stone cannot be moved beyond two to three feet. Some call it a miracle, some call it the message of Allah and some call it the blessings of Qamar Ali Darvesh. Though there are people, especially scientists who gave their logical reasoning of the centre of mass and gravity defying laws but in front of the faith and belief of people nothing stands. 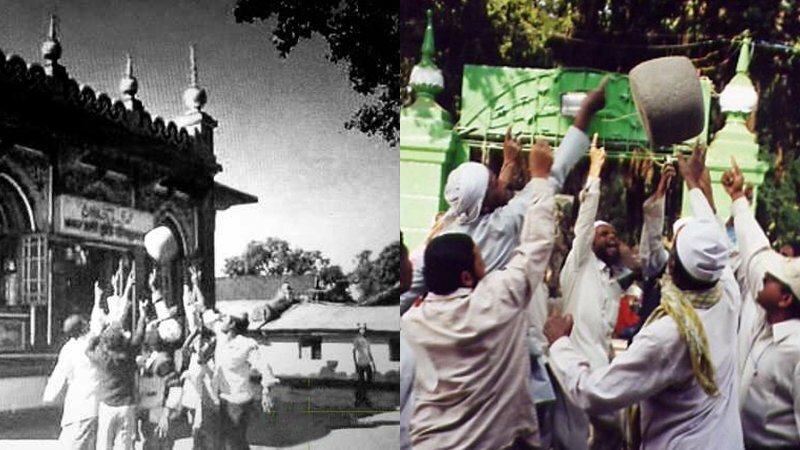 Whatever be the reason, one thing which is significantly valid here is the message of brotherhood which was taught centuries ago by the Sufi Saint and, still today, it holds the same. Yuvraj – India’s Super Bull worth Rs.9 Crores! 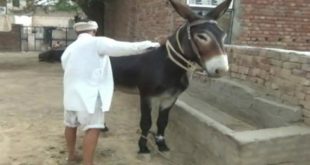 Tippu – Haryana’s Super Donkey Worth Rs. 10 Lacs! 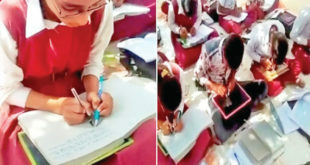 A School in Singrauli, MP where all the 300 students write with both hands! I wish to witness it one day, have heard a lot about this place. I cant be satisfied, till I witness it. Soon pretty Soon.